Millennials are now the largest generational group in America. As research from Professor Douglas Foyle and the Cato Institute demonstrates, there are significant differences in millennial attitudes towards militant internationalism compared with past generations. While the dimensional framework for foreign policy attitudes has not changed, millennials are less supportive of militant internationalism. In addition, Republican and Democratic millennials favor militant internationalism at similar rates. What are the unique circumstances that have contributed to a true generational divergence in millennial foreign policy thinking? Millennial attitudes towards militant internationalism were profoundly influenced by bipartisan criticism of military intervention during the Iraq War from the media, party elites, protesters and politicians. However, because the attitudes of late-boomers towards militant internationalism did not perceptibly change after widespread opposition to the Vietnam War, several factors – including a safer geopolitical climate and the effects of the 2008 recession – must be recognized to account for additional complexities in millennial foreign policy attitudes. Millennial attitudes towards militant internationalism have been shaped by a bipartisan consensus from both parties and the media over the catastrophe of the Iraq War. The hypotheses of Festinger’s Social Comparison Theory are useful to understand why millennial opinion converged around an “Iraq Aversion” consensus. Millennials began to form their political identity by testing their knowledge and opinions against media outlets and party leaders who shared their ideology and comparison group. They did so in an era where it was often political suicide for both Democrats and Republicans to have supported the Iraq War. In the 2008 Democratic Primary, Hilary Clinton paid the price for her vote for the Iraq Resolutions after Barack Obama was able to partially make the election a referendum on her vote for the War. A viral culture of technology in the 2000’s also played a critical role in spreading news of the CPA’s failure to achieve stability after disposing Saddam Hussein. Left-leaning news sites spread information about anti-war demonstrations organized by progressives – on February 15, 2003, a series of worldwide protests were said to be the largest single-day rallies in world history. The collective impact of these events fueled media perception of public attitudes. New York Times writer Patrick Tyler declared: “There are two superpowers on the planet - the U.S. government and world public opinion.” It is unlikely that very many Democratic or Republican millennials could have avoided the totality of this opposition to the War. In the case of millennial Republicans, condemnation of the War by their party elites would not come straightaway. However, after the failure to find WMD’s in Iraq, the conservative news media sometimes advanced a narrative critical of the Bush administration’s policy. As early as 2004, popular Fox News host Bill O’Reilly apologized for his support of the War, and argued that “we can never intervene in the Muslim world ever again.” In March of 2011, he characterized the Iraq War as a “big screw-up,” hammering former Defense Secretary Donald Rumsfeld on his transparency and decision-making during the war effort. Market research of millennial news readers shows that Fox News Digital ranks in the top fifteen platforms in both total unique visitors and reach (about 25% of all millennial news readers). As a result, even if conservative millennials tuned out the reporting of the “mainstream media,” as Festinger’s model of social communication might suggest, they may have still encountered anger over the War. Eventually, Republican military leaders and policymakers also began to publicly turn against the War. On June 16, 2004, twenty-seven former senior U.S. diplomats issued a statement against the War. The group included former Reagan heads of the CIA, Joint Chiefs, and ambassador to the Soviet Union. These Republican elites were not directly connected to the Bush administration, and they articulated a vision for millennial Republicans who wanted to stand against Bush’s policies but still feel conservative. In 2006, the bipartisan “General’s Revolt” offered legitimacy to this alternate vision because it served as a rebuke of Rumsfeld’s hawkish strategies and mismanagement in Iraq (and ultimately helped force his widely covered resignation). By the current election cycle, when millennials represented the largest pool of potential voters, the effects of “Iraq Aversion” were evident. Jeb Bush’s candidacy began crumbling after he waffled on questions about his brother’s hawkish policies in Iraq. 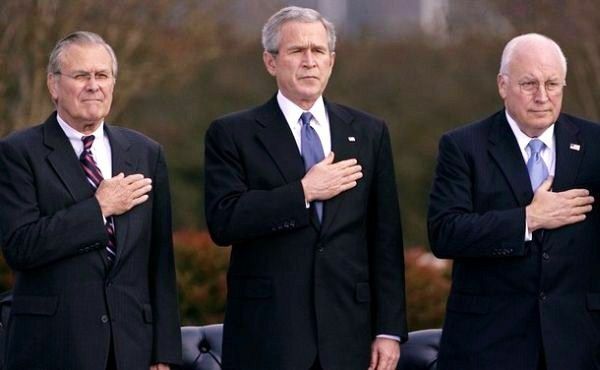 Bush was the choice of the GOP old guard; but not of a changing GOP electorate. Kruglanski and Mayseless’ research on the complex motives that shape social comparison is useful to understand why the views of millennials could have been so profoundly affected by opposition to the War. Millennials of both ideologies would be attracted to the idea of adopting a consensus surrounding this bipartisan condemnation of military intervention in Iraq. They neither had to change their current opinions nor their relationships to their influencers. They could adopt the social norms of their comparison group whether they were Democrats or Republicans. This explanation also aligns closely with Price and Robert’s Model – where individuals evaluate their social loyalties and then incorporate the information they receive from their broad and interpersonal social networks. Millennial Republicans could look to respected conservative policy and media elites who criticized the Bush administration and the effectiveness of military intervention in the Middle East. This consensus on Iraq allowed all millennials to form a cognitive structure around some shared knowledge – that military intervention in the Middle East had led to chaos and instability – which could now shape foreign policy differences. The seeds of a modified conservative foreign policy had been sown. Fierce bipartisan distaste for the Iraq War and Bush era foreign policy cannot solely explain millennial opposition to militant internationalism. After the Vietnam War, foreign policy professionals worried that the failures of interventionary policy in Southeast Asia would cause a long-term public backlash towards military intervention. This “Vietnam Syndrome” was described in similar terms as “Iraq Aversion.” While Vietnam may have been a cultural symbol of American hegemonic decline, research by Ole Holsti finds no evidence that the public’s foreign policy views changed drastically in response to Vietnam. By the end of the Vietnam War, there was still a great partisan divide among the general public for support of militant internationalism. FPLP surveys found that between 1976 and 1996, there was a “clear and consistent pattern of partisan differences,” with 60% of Republicans expressing support for militant internationalism. The majority of Democrats favored cooperative internationalism, and their rate of support for militant internationalism was lower than any other political group. The survey identified very few isolationists. The data suggests that any generational cleavages that may have existed disappeared once controlled for by explanatory factors such as gender, race, and ideology. Because the post-Vietnam generation experienced no reorientation of attitudes towards military internationalism, explanations for a millennial generational gap must go beyond the failures of Iraq and incorporate other fundamental differences in the state of domestic and foreign affairs. While the mistakes of Vietnam were a searing reminder of U.S. foreign policy failures for the late boomers, the U.S. still faced a major global threat from the Soviet Union. The Cold War world was no less dangerous after Vietnam, and late boomers may have been less likely to fundamentally oppose military intervention, especially if it was necessary to stymie Soviet dominance. In addition, the rise of the contemporary conservative movement in the 1980’s encouraged support for militant internationalism. Millennials were socialized long after the conclusion of the Cold War, and there is a fundamental difference between the threat level of terrorism versus nuclear war. Post-Cold War geopolitical alliances have produced an essentially stable and safe, if uneasy, environment for American citizens. As a result, it is harder for politicians to sell militant internationalism as a strategy to protect against major threats if there are none. These explanations intersect with Foyle’s research and Cato’s polling that shows millennials favor international coalitions (and cooperative internationalism) on a bipartisan basis and instead of an aggressive unilateral grand strategy. Wittkopf’s framework still structures foreign policy debates, and arguments over the handling of terrorism and the Arab Spring remain partisan in nature. However, neither the American public nor politicians (conscious of “Iraq Aversion”) from either party favor a major commitment of troops to address these issues. For example, debates in 2015 over the Iran Deal focused on diplomatic maneuvering, economic sanctions, and skepticism over Iranian motives as opposed to a more muscular approach to prevent Iranian nuclear ambitions. Another factor that can help explain millennial wariness towards militant internationalism is their declining faith in institutions and government decision-making. Ernst & Young’s research, titled “The Millennial Economy,” found shifting generational attitudes towards American exceptionalism and global leadership. 22% of millennials hold a favorable view of the federal government and about 55% of the military; compared with 46% and 76% respectively for the general public. While developmental theories argue that millennial skepticism may change over time, E&Y’s data indicates there is reason to believe that the millennial generation is distinctly less confident in authority than others. In addition, transformations in mass media since the 1970’s have peeled back the exalted privacy of public figures, and an era of widely reported on political scandals (starting with Watergate) intensified during the Clinton years and continues to the present day. If millennials do not trust the judgement of their leaders, they may be skeptical of their ability to navigate military intervention in complex environments like the Middle East. Economic approaches to comprehending public opinion are also useful to analyze which objectives are most critical for millennials in light of the 2008 financial crisis. The global recession produced more economic instability and anxiety than any economic event since the Great Depression. E&Y’s survey data shows that millennials biggest worries include finding stable jobs, affording health insurance, and saving for retirement. While not a perfect model of human behavior, rational choice theory suggests that individuals will evaluate their external environment and coordinate their preferences to maximize their utility. According to the rational choice model, individuals who perceive the financial crisis as creating an unstable domestic environment may decide that it is best for the U.S to focus on economic security rather than projecting American power abroad. A millennial generation cognizant of the costliness of the wars in Iraq and Afghanistan may associate militant interventionism with a significant commitment of economic resources and decide to pursue more pressing domestic goals. The Iraq War represented the critical test of the effectiveness of militant internationalism for the millennial generation. Models of political socialization demonstrate how persuasive a bipartisan and multi-sphered condemnation of the War may have been for millennials. Because these criticisms extended beyond far beyond mere quibbles with implementation, (see the rage of Bill O’Reilly or the mass demonstrations of February 2003), they left a considerable imprint on millennials’ perception of militant internationalism. But “Iraq Aversion” alone cannot fully explain millennial opinions because it does not account for other instances when military intervention spectacularly failed (as Holsti’s Vietnam research showed), yet generational attitudes towards militant internationalism remained largely unchanged. Instead, there are a number of distinctive social and political processes that ran concurrent to post Iraq War malaise. They may have helped created a climate conducive to a level of opposition to militant internationalism that would have been unlikely in the post-Vietnam era. Relatively stable geopolitical alliances and the reduced threat level of terrorism replaced the highly combustive Cold War environment. In the post-Iraq War world, there is no grave threat to U.S. interests like the Soviets, so millennials may believe military intervention is unnecessary given the global threat level. In addition, the rational ends theory and economic incentives offer evidence that the financial crisis may have changed the goals millennials prioritize. Finally, the broader narrative of millennials’ lack of confidence in major institutions might have the greatest long-term consequences for whether the generation trusts their government to intervene extensively in the world whatsoever.